Powerful personalization, fast and easy. A simple-to-use personalisation tool for making promotional materials to target any audience group. Its basic features simplify the process and instantly bring wonders to print communication. 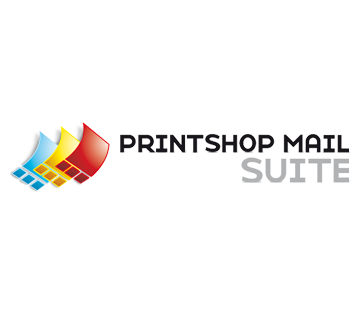 Starting with your document created in almost any software application, PrintShop Mail enables you to very quickly and easily design a template to which variable data or images can be added by simply dragging and dropping database fields into the desired position. Instant previews are available when designing the document to provide a visual confirmation that variable and fixed content is merging as expected. Design can be merged with any database for output on any printer with scalable packages from 25 records to the option of unlimited printing. Conditions can easily be applied to the database ensuring that content printed conforms to pre-defined rules defined by the document designer. Excel® style functions, page picking, subset finishing, multiple page per sheets, printing through the stack, N-up... start mailing like a pro with PrintShop Mail's advanced features.